Mary Appelhof – Worm Woman Inc.
Mary advocated using earthworms to recycle food waste into usable fertilizer. For more than 20 years, she researched, developed, and marketed products related to the earthworm. In 1982 she self-published Worms Eat My Garbage. By the time she wrote the second edition in 1997 she had sold over 100,000 copies. To date over 200,000 copies have been sold. This year her close friend Joanne Olszewski has authored a 35th Anniversary edition to be released by Storey Publishing in December 2017. 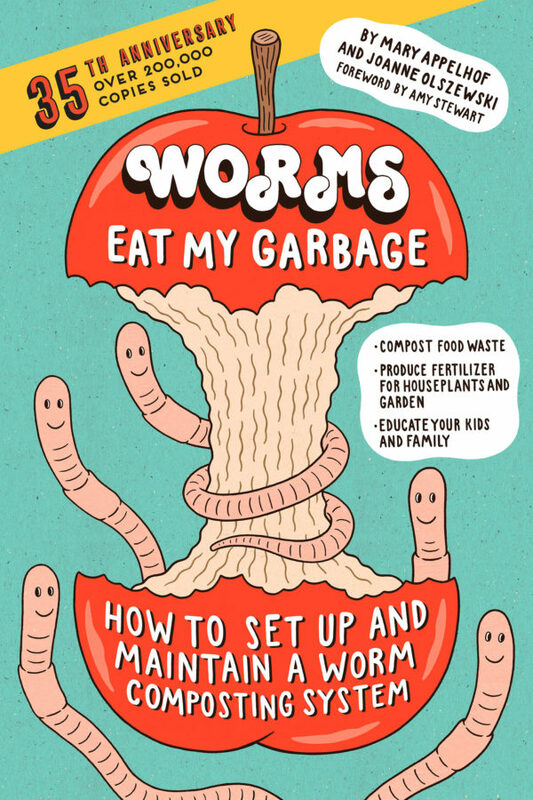 As “Worm Woman,” she introduced thousands of schoolchildren and home gardeners to the fascinating, environmentally-significant activity of vermicomposting. She wanted to change the way the world thought about garbage. Mary traveled around the world to places like Russia, Ireland, England and Australia to share her ideas about vermicomposting. In 2000, she organized a vermicomposting seminar in Michigan, called it the "Vermillenieum" and drew people from around the world. She was an international authority and lecturer on small-scale vermicomposting whose honors included a National Science Foundation grant and the National Recycling Coalition’s Recycler of the Year. Mary, a visionary is remembered as the author of the landmark book about using earthworms to compost food waste.